Vivo has published a new teaser on Weibo that shows a smartphone with water ripples and rounded corners, in line with the rumours. 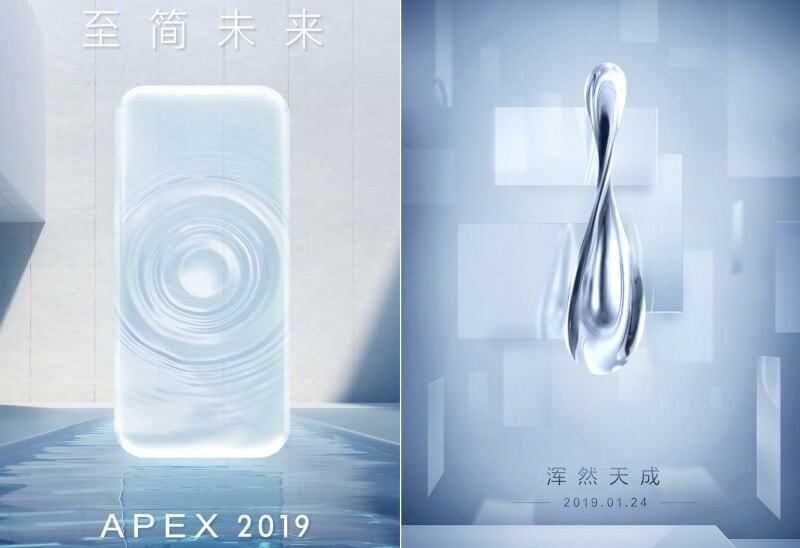 The teaser also contains a tagline “To Simple Future,” and is accompanied by text saying Vivo Apex 2019 will be using technology “to wake up to the future.” While the tagline and the accompanying text is very vague, it seems to hint towards some sort of a new unlock mechanism or a new in-display fingerprint sensor. After all, the Vivo Apex, which was unveiled at the Mobile World Congress last year, came with a so-called half-screen in-display fingerprint sensor. The technology was however missing from the commercial version of the device, which shipped under the Vivo Nex branding. It is possible that Vivo has continued its work on that fingerprint sensor and is going to introduce a new and improved version.